Checkered skippers (Pyrgus communis) are common throughout western North America, but I do not see them often. So although not the best photograph, I decided to share this black and white butterfly. Checkered skippers fly throughout the summer and are found in open meadows and disturbed disturbed areas with low vegetation and bare soil. Caterpillars feed on species in the mallow family. Adults are nectar feeders. 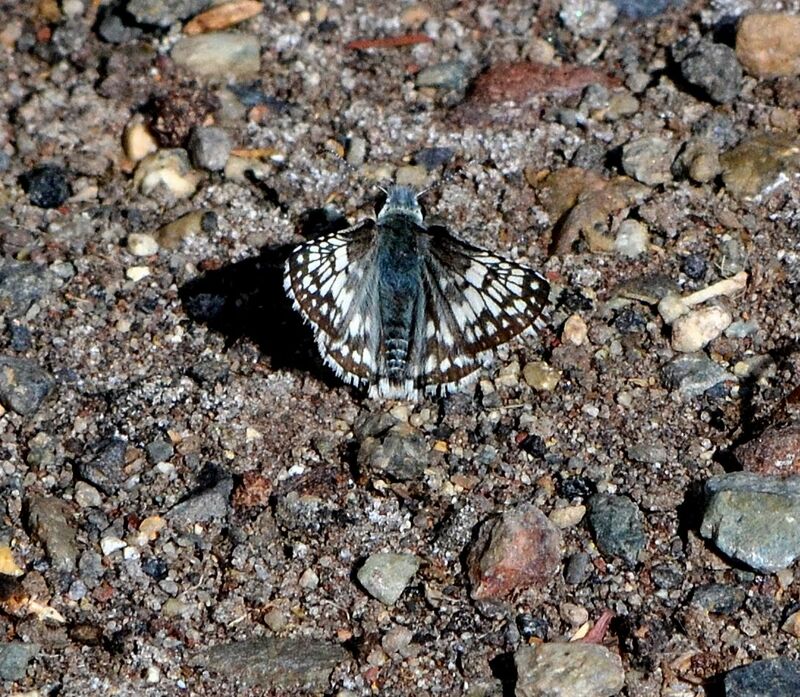 This checkered skipper was photographed near Baum Lake (Shasta County CA). This entry was posted in Butterflies, Insects and tagged butterfly, checkered skipper, nature photography, Pyrgus communis. Bookmark the permalink.